One of the tests SCADA Miner runs looks for constraints in wind turbine output occurring due to high temperature components. When purchasing a wind turbine, the power curve is guaranteed up to a certain ambient temperature (often 40°C). Beyond this temperature, the operating temperature of some components monitored by the wind turbine’s control system may exceed safe levels and initiate a temperature-induced constraint on the wind turbine. When under an availability contract the turbine is still counted as 100% available even if it is constrained due to high temperature. For example, a 3.2 MW wind turbine may be constrained to 2.4 MW (a common default constraint is approx. 75%) and no downtime will be recorded in the wind farm SCADA system for the constrained period. When a wind turbine manufacturer is incentivised to hit an availability target, temperature constraints are low priority. The OEM prioritises breakdowns and alarms affecting availability. Lost production due to alarms and breakdowns may be recoupable through availability damages. Poor temperature performance can only be recouped by raising the issue as a defect and calculating the lost production. SCADA Miner automatically summarises lost production due to temperature constraints below rated temperature so that the wind farm owner can choose to raise the issue with the OEM. Temperature-induced constraints tend to coincide with high electricity spot prices. When the outdoor temperature is high, the grid is heavily-loaded with air conditioning loads. While many wind farms sell power via a fixed price per MWh power purchase agreement (PPA), the power purchaser would certainly like to be buying extra energy at $120/MWh compared to paying spot price for it. 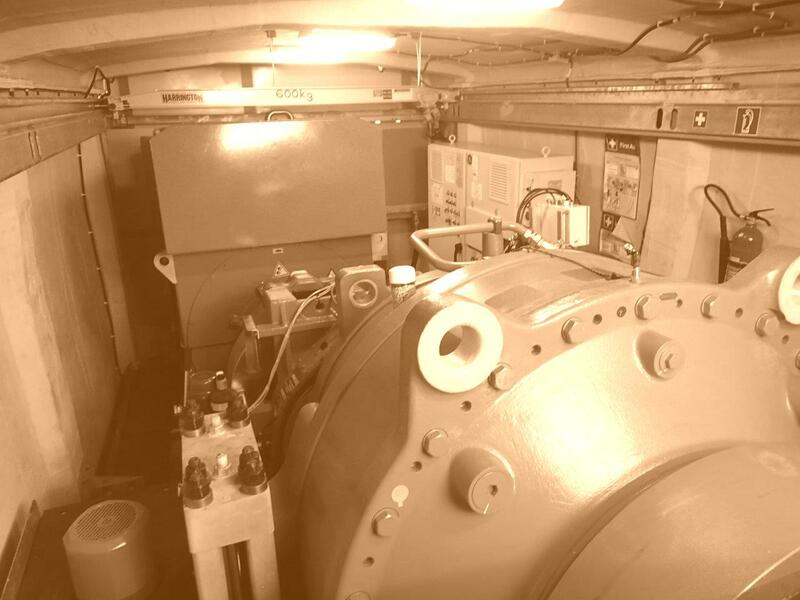 Gearbox – wind turbine gearboxes perform a difficult job. There are very few applications requiring a step up in ratio between a high torque low speed driven-end and a low torque high speed output end. It is a complicated piece of equipment and much can go wrong. Usually sensors record the temperature of at least three locations in the gearbox. Sensor locations include driven-end (DE) bearing, Non-driven-end (NDE) bearing and oil sump temperature. Generator – generator bearings can also constrain wind turbine output. Typically, the driven end and non-driven end (referred to as DE and NDE in many wind turbine SCADA systems) are measured. In addition to generator bearings, the stator winding temperature is also measured. Some gearbox temperature constraints can be addressed. They may be due to faulty or wrongly-connected sensors. For example, the oil sump sensor connected to the input on the analogue I/O module meant for the non-driven end bearing. If all measured components within the gearbox are equally hot, the issue may be in the cooling circuit. The high temperature could be due to low oil, a partially-blocked oil circuit, an under-performing oil pump, or bellows that are leaking or obstructed. High temperature bearings could indicate damage or gearbox misalignment. Investigate these issues early to minimise long-term damage. Refer here for an interesting discussion on wind turbine bearing damage. If the windings themselves are getting too hot, this could be a sign that the copper used to wind the stator on this generator has higher resistance than the others on the wind farm. Check this by examining the generator factory acceptance test certificate. Check the 10-minute average SCADA data to determine the terminal voltage of this turbine. As electrical heating is proportional to current squared, a 2.5% increase in voltage level (by changing the tap on the WTG transformer) will cause a 2.5% reduction in current for the same level of power. This will reduce the I2R losses by 5% and may improve temperature performance. Cooling fan retrofits may also be an option. If the wind turbine does not perform unconstrained at its rated temperature, the wind farm owner should use the SCADA data to raise a defect. Some gearboxes are just bad ever since commissioning. Replacing a defective gearbox might cost the OEM many hundreds of thousands of dollars. Raising a defect on the gearbox gives the owner a huge amount of leverage. Use the defect to get something else from the OEM at a significant discount. Automatically adjust the temperature constraint MW parameter to allow the wind turbine to adjust its output so as to keep the temperature of the component which is initiating the constraint (e.g. the gearbox oil sump temperature) just below the warning level at which the constraint is imposed. Dynamically adjust the level at which temperature alarms and warnings arise. It may not make sense to have fixed temperature thresholds on bearings. For example, high temperature could indicate damage to the surface of the bearing or race. An 80°C warning level might be OK in the summer, but in the winter, a bearing with extensive damage may only reach 65°C.